Utah has become my new favorite state in the United States. I wanted to do a separate blog post for Utah but there too many places to cover so I decided to make it a series of posts. 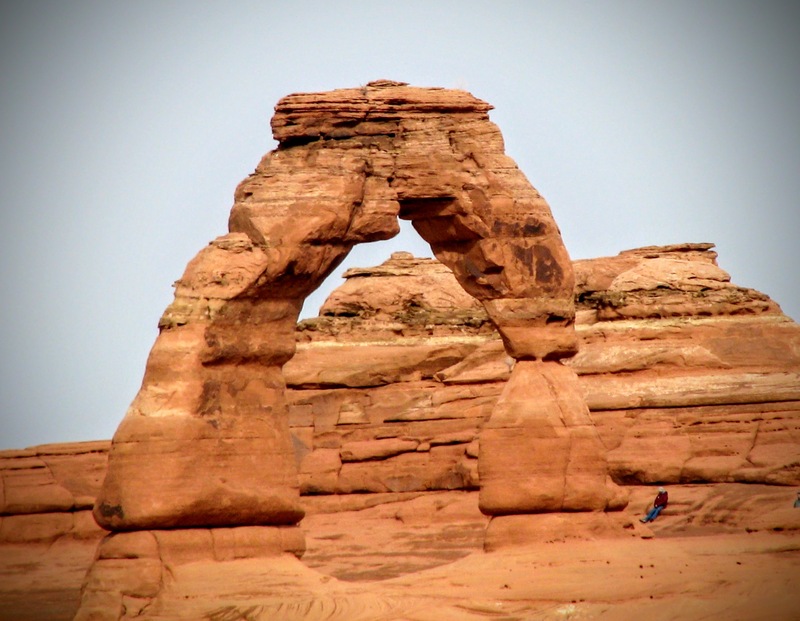 This post covers the “Arches national park”. 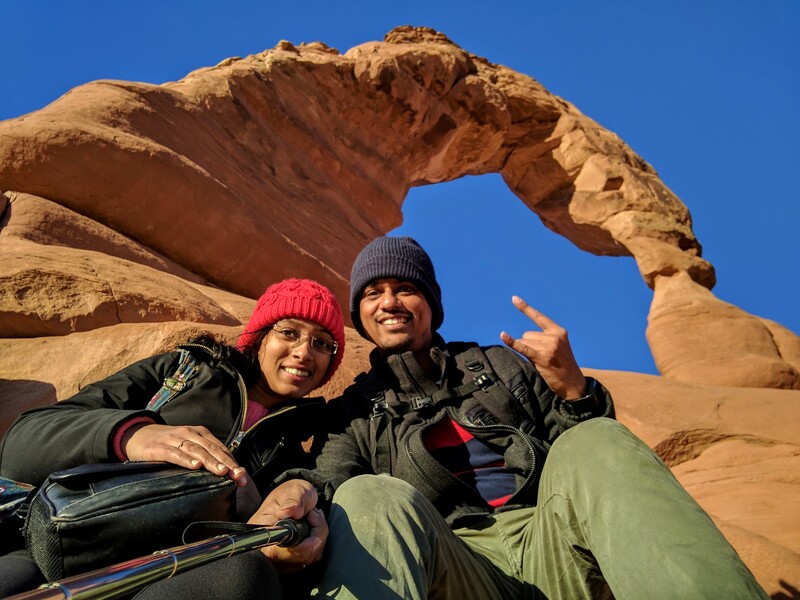 The park is home to over 2,000 natural sandstone arches, in addition to a variety of unique geological resources and formations. It contains the highest density of natural arches in the world. Where else can one get pictures like this. This is one of the Windows arches (the north window). The setting sun in front and blue sky in the background makes for a fine photo. As it might be clear, the color of the sandstone changes with the time of day. This one looks more orange because of the sunset. The “Turret arch, “Staircase to heaven? Certainly looks like that. The “Landscape arch”, the longest of all the arches in the area. We are lucky to be alive when these structures are here in this state. In a short period (in rock timescale), more erosion will cause these arches to collapse eventually. 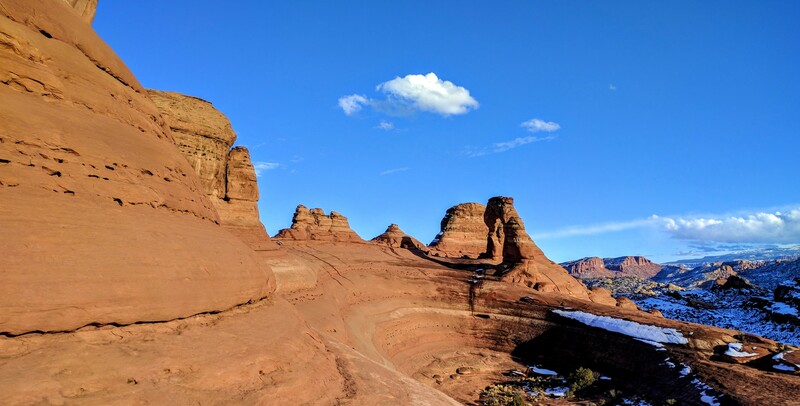 This is even more apparent with the Landscape arch as it has become thinner to the point that it’s dangerous to climb close to it, as it can break apart with some force. The only formation that is made of two arches, geologically different and more interesting than other arches here. And understandably, this is my wife’s favorite one. This is the “Delicate Arch”. Pretty much the only arch that ls standing on its own without any rocks for support. It’s a moderately difficult hike to get to the arch though. We accidentally also ended up on the other side of the arch too, almost no one tries to get here (because its slightly tricky and dangerous). But, on the other hand, we got very close to the arch and it looks beautiful as well from up close. The balance of the rock and the beauty of the landscape !! The snow cover makes it that much more beautiful. For me, snow is like jewellery for landscape. View of the land beyond the arches. Miles and miles of emptiness, the sound of the wind gusting through my ears, clouds trying to hide the blue sky. An arch within an arch. This is from behind the “North Window arch” and looking at the “Turret arch”. Personally, Turret arch is my favorite. Sometimes, all we need is to stare at nature, feel humbled by it and share a peaceful few moments.